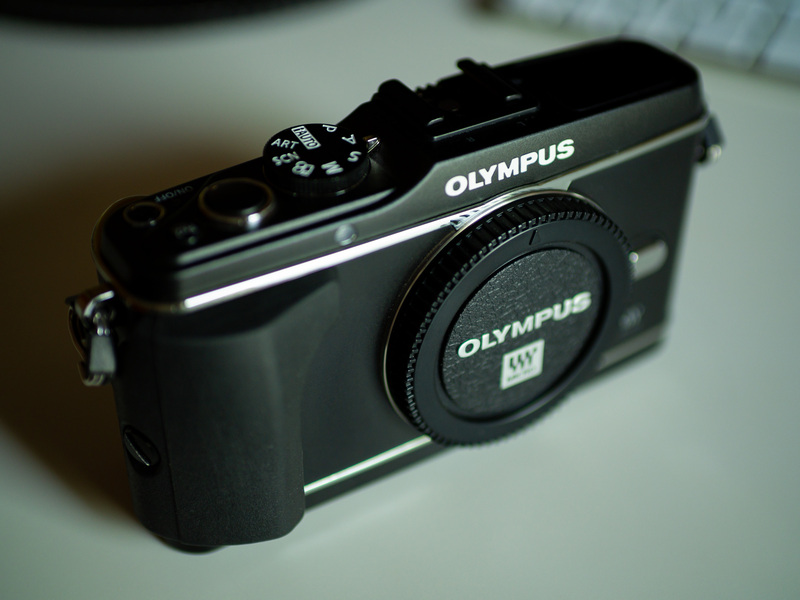 I purchased this PEN E-P3 just a few days ago, to add it to my collection of Olympus PEN cameras. As I mentioned in my previous post, I now have all the PEN models except the PEN-F. I love PEN cameras because they are the smallest full-featured cameras out there. Yes, there are smaller cameras, but they have smaller sensors. And there are small cameras with bigger sensors, but they’re not as small as these cameras, and you have to deal with big, heavy lenses. The PEN cameras are just perfect. The sensor is big enough to allow for great resolution without squeezing pixels too close together and small enough to allow for small, lightweight lenses. PENs are almost as full-featured as the bigger OM-D cameras (which I also love and which have their own charm, purpose and amazing capabilities), but the PENs are small and light and easy to carry, so they’re perfect for traveling light or for an all-day photo shoot in the studio, when you have to move around and hold the camera at all sorts of angles in order to get that perfect photo. 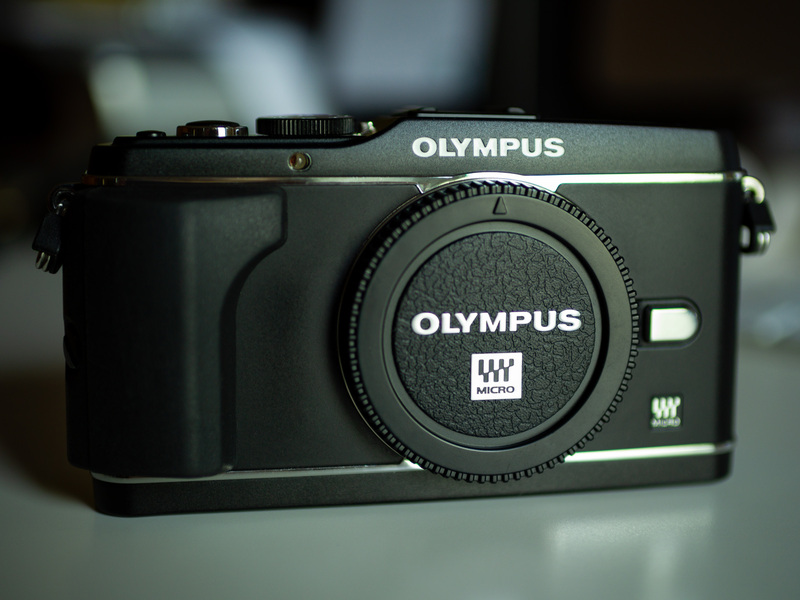 That was and is the Olympus MFT promise: small, lightweight gear and superb image quality. This is why my PEN E-P5 has become my main camera, by the way. I love using it in my studio and I use it everywhere else as well. This is also why I wanted to collect all of the PEN models. I wanted to see their evolution firsthand, from the standard-setting E-P1 to the E-P5 and the PEN-F. I bought my E-P3 second-hand and there were some scratches to the underside of the camera. I also discovered after the purchase that the IBIS wasn’t working. I talked with the seller about it and it wasn’t malice. The fellow was a beginner and didn’t even know how to adjust the IBIS, much less that it wasn’t working. I guess at some point, the mechanism either broke or got stuck, so I packed it up yesterday and sent it in to one of the Olympus Service Centers in Eastern Europe to have it fixed. I look forward to getting it back in full working order and using from time to time, as I also use my other PEN cameras. They’re not just collectibles to me. They’re also working cameras and it’s important to me that each and every one of them is fully operational. Before I sent this camera in for service, I mounted the 25mm f1.8 lens on it, plus my newly-arrived MCON-P02 Macro Converter (which I definitely recommend) and went into our garden to take photographs. I wanted to see how the E-P3 had improved upon the E-P2 in image quality. And it definitely has! The color gradation is better and so are the details. It has the same resolution as the E-P2 (12.2 megapixels) but the images are better and there’s less noise. 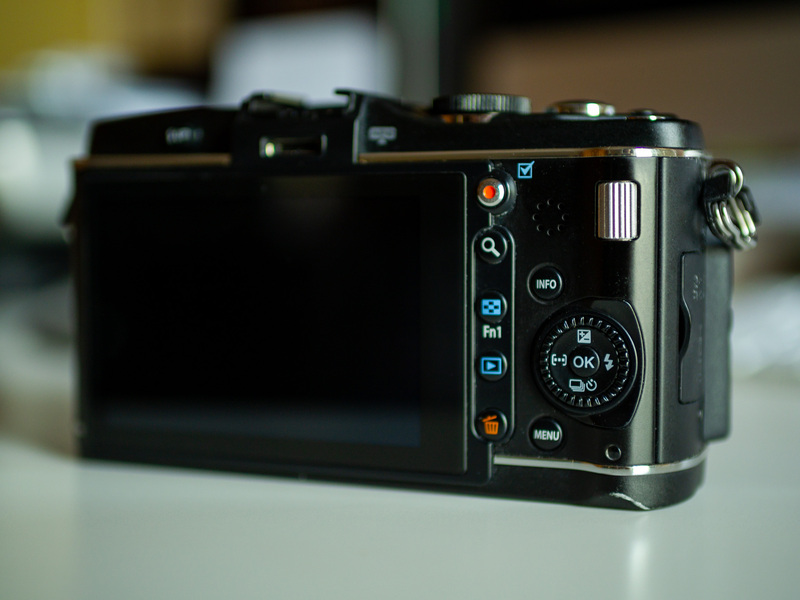 I do wish I had adopted the PEN system earlier, back in 2010 when I reviewed the E-P2. I think I’d have been pretty happy working with PEN cameras all these years and maybe also getting an OM-D camera. While I can’t change the past, I am working with Olympus gear now and I am very happy with it.